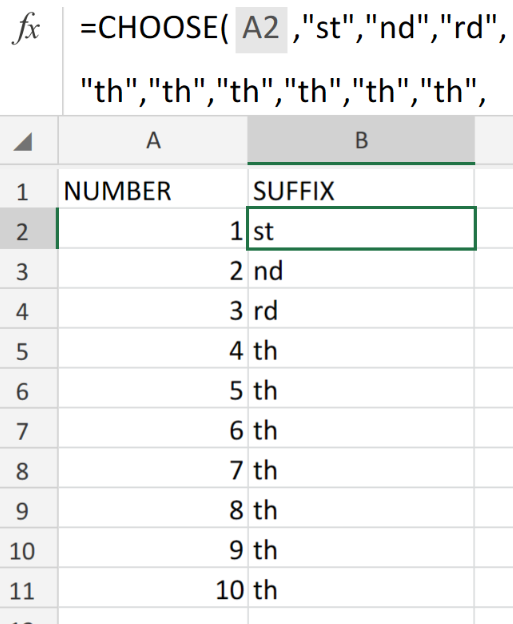 Figure 1. of Rank with Suffix Function in Excel. 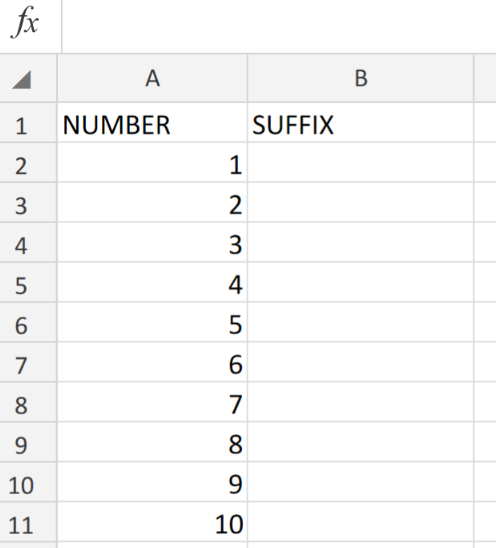 Let’s say we want to add ordered suffixes to a range of numbers in Excel (like, 1st, 2nd, 3rd, etc. ), We are going to utilize a formula syntax which is derived from the Excel CHOOSE Function. The Excel CHOOSE Function will perform the task of assigning the desired suffix to each number value. How to use the CHOOSE Function in Excel. The Excel CHOOSE formula syntax operates by returning a letter suffix in specific ranking order for every sequential number value. Arrange the available data in our worksheet by inputting the ordinal NUMBER values in a single column. Label the next column as SUFFIX. 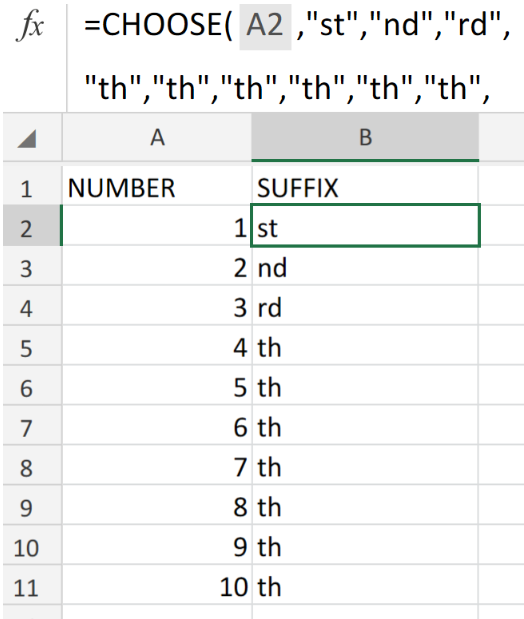 Figure 2. of Ordinal Numbers in Excel. Because Ordinal numbers depict ranking, position or an order of sequence, they are commonly written as a combination of number and a suffix letter: 1st, 2nd, 3rd, etc. 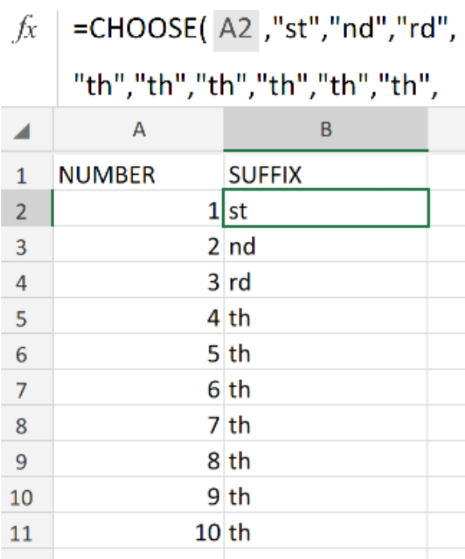 Figure 3. of Rank with Suffix Function in Excel. 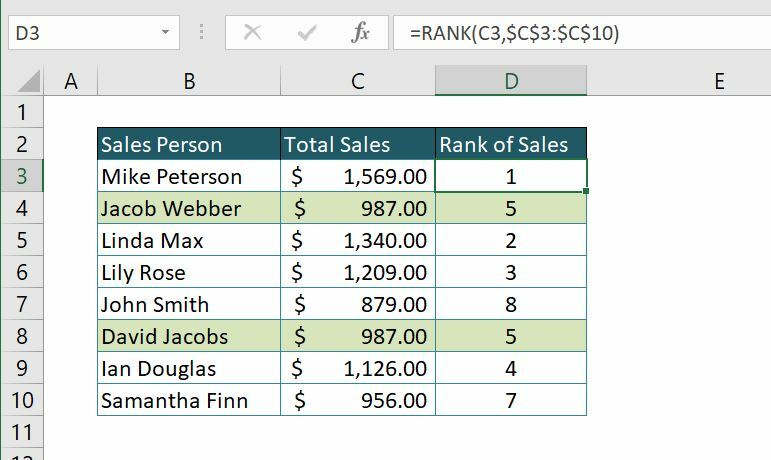 Copy the formula syntax in cell B2 into every other cell in column B to achieve the desired ranking results. The Excel CHOOSE Function is ideal for small set of numbers only, like if the number values are in a Range of 1 up to 10. This is not the solution for larger ranges of numbers. Can I use the calculated rank number in a new calculation within a pivot table? I have a pivot table that ranks two different categories for the same person. I need another column that will add the two rank numbers together and multiply by .5 for the weighted rank calculation. If there is a tie, category 1 rank will break the tie. I can get this to work outside of the pivot table with formula =(GETPIVOTDATA("TC RANK",$A$3,"CF_SelectedDimForPerform","Adamson-2315")+GETPIVOTDATA("FB RANK",$A$3,"CF_SelectedDimForPerform","Adamson-2315"))*0.5 However, this would eliminate the ability to use the easy sorting within the pivot table and ability to rank the weighted rank. Hi, I would like the "name" column contents to have a suffix of "Fancy Dress Costume" where the "product_type" is costume. And a suffix of "Fancy Dress Accessory" for all the other product_types. 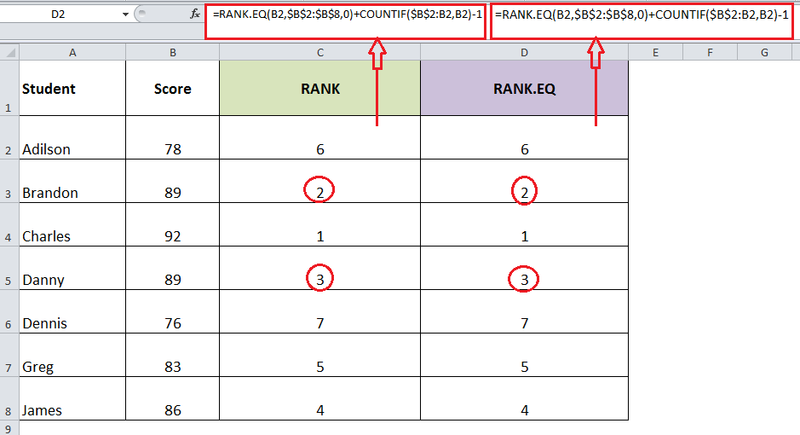 How to rank in excel with multiple criteria. How I can use the rank function to give me the rank in this situation? I need a ranking of 1,2,3,4,5... if the value are the same it need to keep the same rank. IE: if 20 return 3 time and 60 3 time, both of them will have the same rank.